When choosing any supplement, the ultimate goal of supplementation is the most important factor to consider. Are you taking a supplement because you are concerned about memory? Do you want something that will improve energy, mood, and provide memory enhancing benefits? At Brain Enhancement Advisor, you can find information about the benefits, side effects, and effectiveness of supplements for cognitive enhancement. This natural compound is found in plant sources, such as bitter orange and barley grass. It is a derivative of tyramine, an amino acid. It is a nootropic compound that has been shown to stimulate focus, concentration, energy, and improve mood. Although the nutrient can be found in food sources, it is not common in a large number of foods and would be difficult to get enough of it in the average diet. 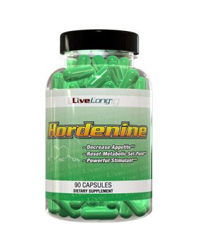 Hordenine HCL powder is used by athletes, body builders, and people interested in the benefits of this compound. The benefits of this supplement include enhancing attention, concentration and focus, stabilizing moods, and it may have weight loss benefits. It also helps to decrease appetite, while boosting the metabolism, which is helpful for losing weight. In supplements for cognitive enhancement, it is often combined with phenlyethylamine For more information on side effects and dosage visit smartpillguide.org. Because it is difficult to get this nootropic exclusively from food sources, many people turn to supplements that contain hordenine. It is common to begin with a dose of 30 mg and gradually increase it to 50 mg per day. Many people put the powder in their coffee in the morning to increase the energy enhancing benefits and simplify their morning regimen. The dose can also be repeated a few times a day and many people take it before working out. The side effects are usually mild and can include stomach problems, difficulty sleeping, increased heartbeat, anxiety, and dizziness. Most of the time, these can be resolved by lowering the dosage. People with blood pressure problems, heart conditions, or taking MAO inhibitors should not take this supplement. If you have any health condition, speak with your doctor before taking any supplements. The product reviews at Brain Enhancement Advisor contain the information you need to select a quality nootropic supplement. In addition to product reviews, we have included a comparison chart of the best rated products and articles on topics related to improving memory, cognitive function, and focus in the blog on our website.